Every angler dreams that the fish on the other end of the line will be a monster. These anglers all realized that dream and are on the wait list to see if their catch will make the IGFA World Record list. Want to catch a record fish of your own? Well now you can! 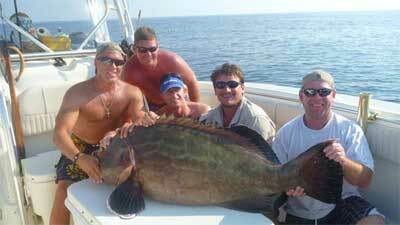 Catching a trophy fish is a great reason to be proud, but a world record fish is even better. Here's everything you need to know to catch a world record fish and earn a fishing legacy you can really be proud of. Visiting South Florida, USA from his hometown of Saint Perdon, France, angler Alexandre Lafage tried his hand at some of the region's fantastic snook fishing on the evening of September 8, 2011. 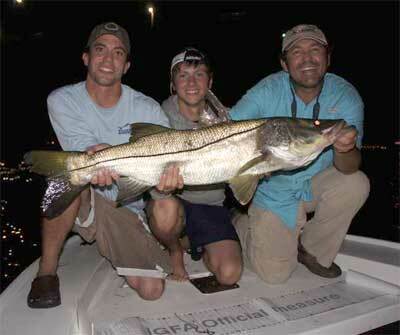 Fishing out of Stuart, Florida with IGFA Representative Patrick Sebile and local guide Andy Tasker, Lafage pulled up this 92 cm Atlantic snook (Centropomus spp.) that qualifies him for the potential new All-Tackle Length record. Lafage was thowing a Sebile lure and needed 7 minutes to land the potential record fish before it was measured, photographed and released alive. 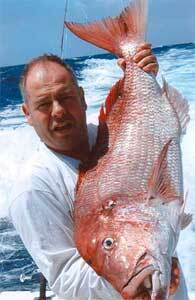 The IGFA current record is 71 cm. 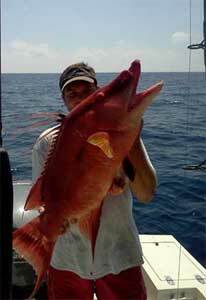 Usually targets of spear fishermen, hogfish are tasty tropical fish that are difficult to catch on hook and line. However, angler Wesley Adair Covington of Summerville, SC, USA pulled up this potential All-Tackle record hogfish (Lachnolaimus maximus) on September 11, 2011 while fishing out of Charleston, SC, USA. Wesley's potential record hogfish tipped the scales at a massive 9.95 kg (21 lb 15 oz) and took the angler 10 minutes to land after it ate the crab Covington was soaking for bait. The current IGFA record is 9.63 kg (21 lb 6 oz). Australian fly angler Frank Bluch recently returned from his annual trip to Canada where he fishes with local guide Mike Harrison. This year, Bluch and Harrison fished Canada's Tree River, which produced two pending Arctic char (Salvelinus alpines) tippet class records for Bluch. The bigger of the two was this 9.64 kg (21 lb 4 oz) beauty caught on August 13, 2011 while casting a Dumbell Strip Tease fly. After a 20 minute fight, the angler and guide combo were able to weigh and release the potential 02 kg (4 lb) tippet class record fish. The current IGFA record is 7.17 kg (15 lb 13 oz). Philadelphia, PA, USA native Glenn Bennett recently took a trip to Key West, FL, USA with his daughter and IGFA record holder, Brielle Bennett, to do some record hunting with his brother Captain Brian Bennett. The trip produced three potential record fish for young Brielle, but Glenn also joined the fun with a 140 cm greater amberjack (Seriola dumerili) that he landed on July 17, 2011. With the current record at 120 cm, Bennett's fish qualifies for a new potential All-Tackle Length record as it was released after being photographed and measured. There are a lot more amazing sea creatures out there! Nothing on Earth is more mysterious than what lies beneath the ocean waves. Here are 10 of the most stunning sea creatures we know about. While vertical jigging off Algarve, Portugal with guide Jeronimo Joana on July 3, 2011, Portuguese angler Hugo Silva landed this gorgeous pink dentex (Dentex gibbosus) to qualify for the potential new All-Tackle record. 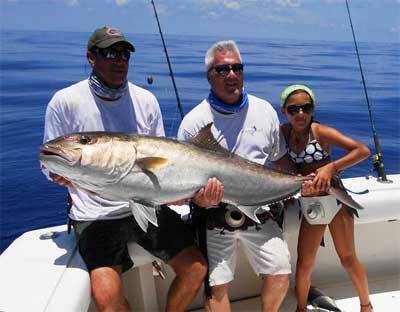 Silva's 15.94 kg (35 lb 2 oz) fish struck a Barros Amberjack Jig and took the experienced angler 18 minutes to land. 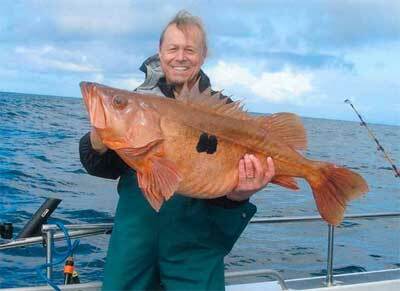 The current IGFA record is (13.8 kg) 30 lb 6 oz. 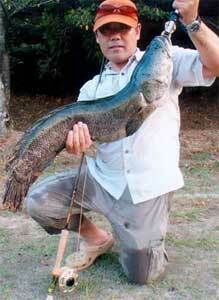 Angler Takeshi Kandori of Aichi, Japan landed a nice 5.67 kg (12 lb 8 oz) snakehead (Channa spp.) to qualify for the potential 10 kg (20 lb) tippet class record. Fishing Taketoyo, Japan on August 14, 2011, Kandori needed 4 minutes to land his snakehead after it slammed the bass bug fly he was casting. The current IGFA record is 5.67 kg (12 lb 8 oz). 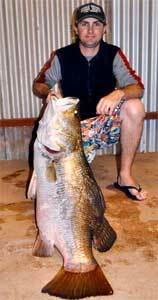 Australian angler Mark Hope knows how to successfully catch big barramundi (Lates calcarifer) on light tackle. Hope currently holds the 3 kg (6 lb), 4 kg (8 lb) and 37 kg (80 lb) line class records, and also has a pending record on 2 kg (4 lb). Hope has just recently submitted another application for a 23.7 kg (52 lb 3 oz) barra that he caught on September 21, 2011 while fishing Australia's Lake Tinaroo. Using only 1 kg (2 lb) line, Hope fought his potential record catch for 20 minutes after it hit the lure he was trolling. If approved, Hope's potential 1 kg (2 lb) line class record would more than double the existing record that stands at 11.6 kg (25 lb 9 oz). Angler Dr. George Bogen recently traveled north from his home in Los Angeles, CA, USA to the renowned Elfin Cove, Alaska to do his favorite type of fishing - deep bottom jigging. Dr. Bogen certainly wasn't disappointed when he pulled up a 12.64 kg (27 lb 14 oz) boccacio (Sebastes paucispinis), that - if approved - will give him the All-Tackle record. Bogen was jigging a lead head and plastic grub combo with guide Riley Niewenhuis on August 24, 2011 when the fish hit. Six minutes later, Bogen had the fish in the boat and another potential record. The current IGFA record is 12.08 kg (26 lb 10 oz). When angler Matt Snyder of Osprey, FL, USA dropped down a live grunt while bottom fishing in the Gulf of Mexico on September 16, 2011, he was hoping to bring up one of the many bottom fish found in this area of the world. However, Snyder was certainly not expecting this massive 47.63 kg (105 lb 0 oz) black grouper (Mycteroperca bonaci), that took him 12 minutes to pull from the bottom of the Gulf. If approved, Snyder's giant black grouper will easily surpass the existing men's 24 kg (50 lb) line class record, which stands at just 8.16 kg (18 lb 0 oz). If you're an angler who craves excitement and is willing to travel, then here is your bucket list: where to catch a fish bigger than you around the world. 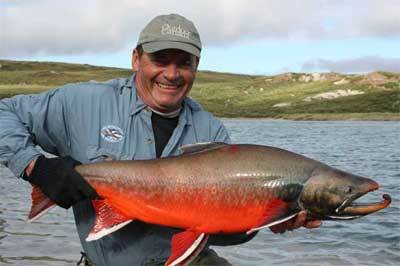 If you're curious just where it is you have to go to catch the biggest and most unique fish out there, here are ten game species and their respective trophy destinations. The king of all freshwater gamefish is the largemouth bass, but where are the best places to go? Here's a list of the 10 best bass fishing lakes, with a shoutout to the smallmouth.